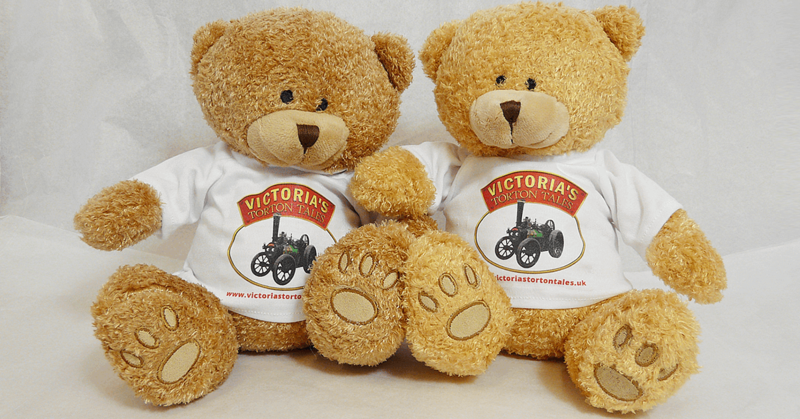 Lovely, cuddly, super-soft brown and golden teddy bears with reversible white t-shirt that has “Victoria’s Torton Tales” on the front, and in BIG friendly letters “HAPPY STEAMING!” on the back. Every bear is ready and waiting to give hugs and love forever, and comes with a Certificate of Adoption. Everyone loves a cuddle with a teddy bear, making this the perfect gift for all ages. SIZE: Approx. 21cm tall when sitting.